The Titan 3 Mobility Scooter is a mid size portable, foldable and transportable three wheel Mobility Scooter, which easily folds or dismantles for storage or transportation. 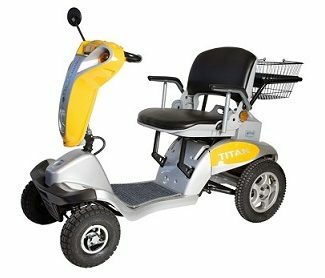 The TZora Titan 3 and Titan 4 mobility scooters, are ergonomic, portable & foldable, and for use indoor & outdoors. 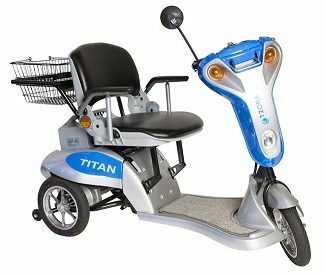 The TZora Titan range of mobility scooters over a unique combination of performance, comfort and portability. 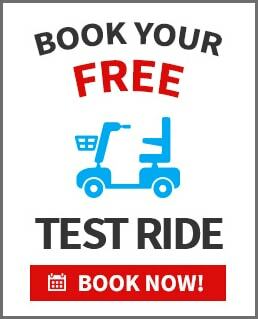 Experience its speed, comfort, ride, suspension and ease of transport the minute you start using it. The TZora Titan range of mobility scooters, allow you to keep an independent, spontaneous and active lifestyle . The TZora Titan range of scooters are foldable and detachable in seconds, without effort or bending! The TZora Titan mobility scooters are compact, highly manoeuvrable, allowing it to be transferred easily into a car, a bus, a train or a plane. The foldable design of the TZora Titan 3 and 4 gives you a portable vehicle, which will take you anywhere you want to go, regardless of the weather or the terrain. Even steep hills and inclines are no problem for the high performance Titan 3 and 4 . With full suspension, large tires and 18″ wide memory foam seat with 19″ between the arms. The high performance Titan 3 and 4 delivers an amazingly smooth ride at all times.